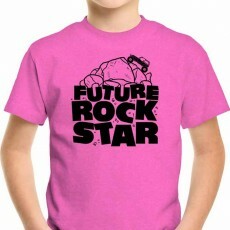 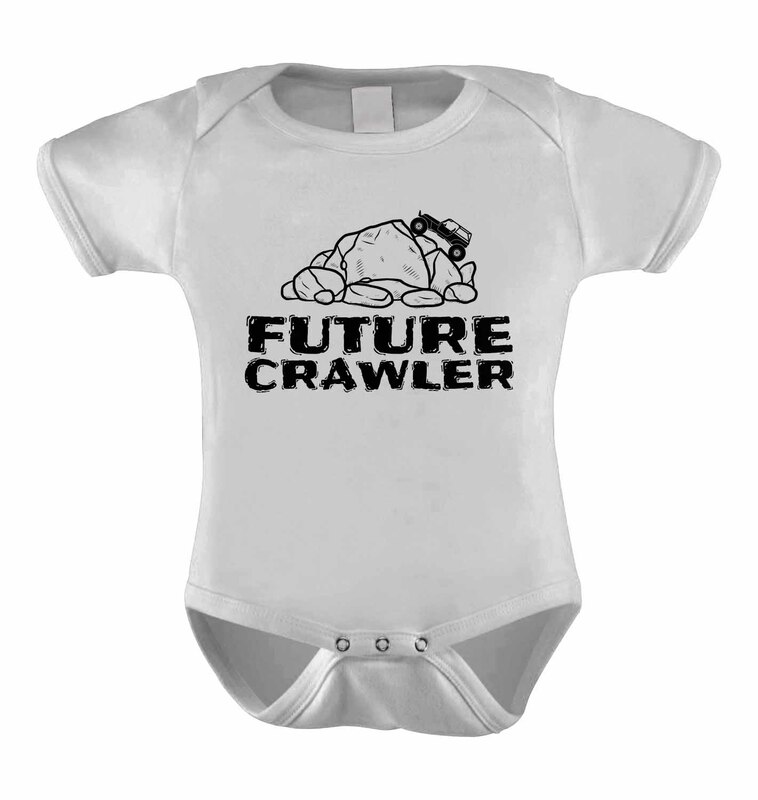 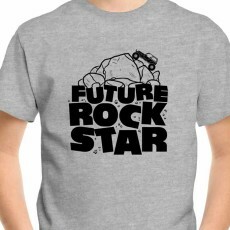 Infant Onesie with a pile of rock and a Jeep buggy crawler up the rocks with the words Future Crawler on it. The onesie comes in multiple colors of White, Light Pink and Baby Blue. 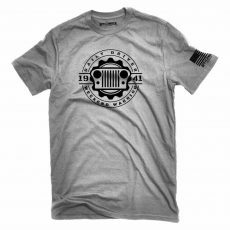 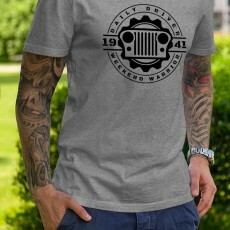 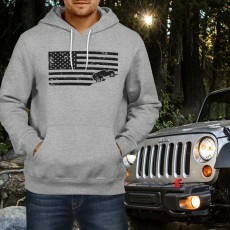 Jeep Shirt available in two color options of Gray or Pink for boys and girls. 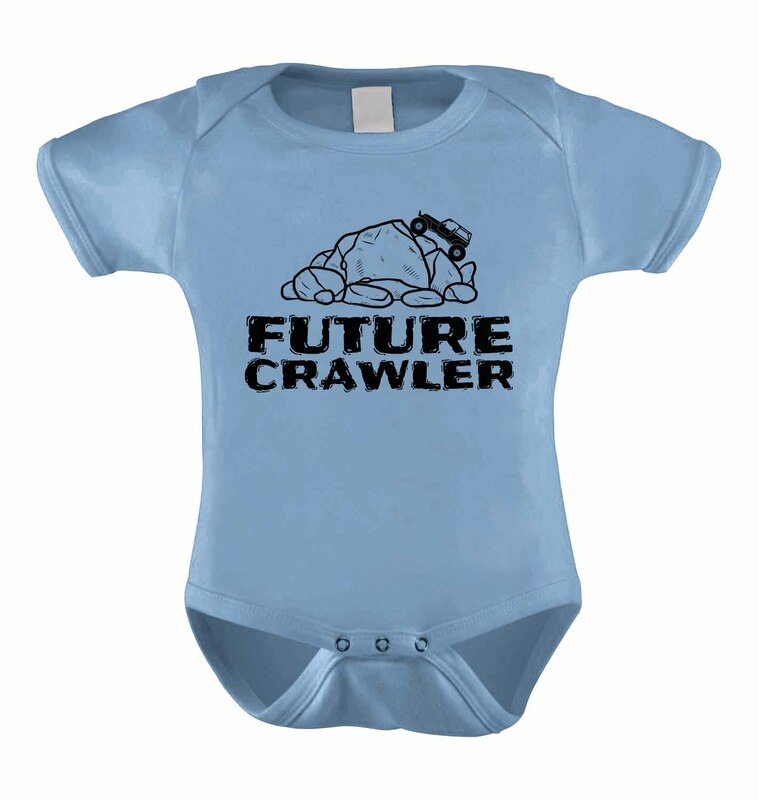 Makes a perfect gift for someone expecting or for any baby up to 18 month.